89%* of people across Europe watch TV every week and clock up over 3.5** hours viewing a day on average. 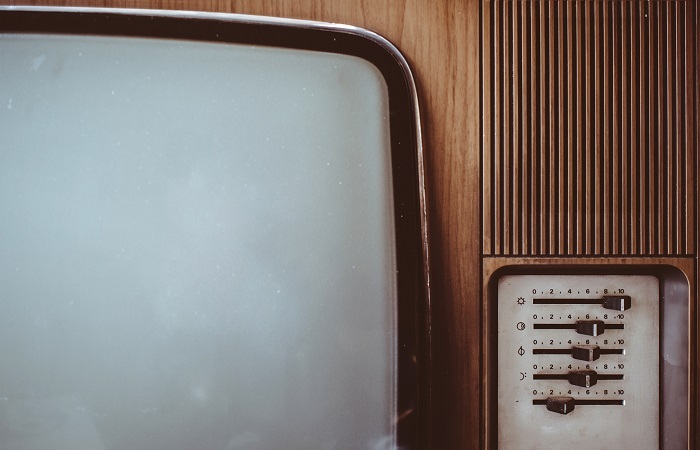 However, does television hold the sway it once did now that the world has gone digital? According to our latest poll of 2000 Brits, the answer is a resounding ‘yes’. 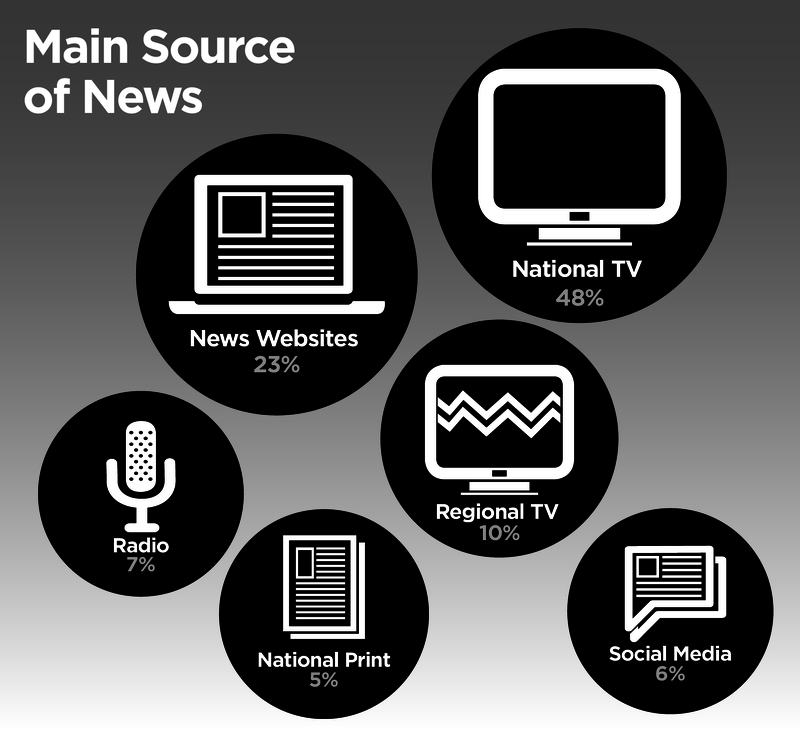 The majority (58%) of us say television is our primary source of news – more than twice as many who say news websites (23%) and almost 10 times the number who turn to print (6%). One in 20 (6%) say they get most of their news from social media. News websites, social media and radio are all exceedingly easy to access while on the hoof, so why does TV maintain its position as the most important source of news? Perhaps it is television’s power to stop us still in our tracks, to ground and captivate us, to make us laugh or cry, in a moment. Or do the public simply place more trust in broadcast thanks to Ofcom regs? If, like the rest of the UK, TV is important to you and your campaigns, here are our top tips on how to land PR coverage on the box. You may have a great story concept, but if you don’t have the right content (spokespeople, case studies, b-roll, filming opportunity and so on), producers won’t think twice about letting someone else take centre stage. Similarly, you can have all the content in the world, but get the concept wrong, and you have no hope of placing it. Content is crucial, but it isn’t king – the story is. You may have been immersed in a new initiative or product for months on end, but it’s unlikely broadcasters will immediately share the same enthusiasm. PR professionals need to think about “the story” not “the campaign” – you do that by being on the same side as the broadcaster. Anything tenuous or not easily understood is a big no-no for busy TV planners; they’ve got plenty of other stories to sift through. When we write or rewrite for broadcast, our goal is to create something with a simple and flowing narrative. Our advice is don’t wait to get in touch with a broadcast expert. We would rather we helped you shape the story from the get go than pick up a “could have been” further down the line. Planners deal with a large and constant stream of PR releases. They have to make quick decisions about what to escalate to the programme’s editors, so getting your campaign in the diary before anyone else is crucial. Starting earlier will give you the edge over competing news stories. If you’re hoping to land coverage across all platforms, make sure you have more than ample access to well-versed spokespeople, who are available at short notice. BBC Breakfast has often decided to cover our Monday story at 6pm on the Sunday. If that happens, you’ll need a spokesperson willing to go to Salford that night ready for their moment on the couch the following morning. Again, broadcasters won’t have much of a problem letting a competitor comment if you can’t. Don’t splash the cash on a celebrity needlessly. If you’ve got a really news worthy story, chances are broadcasters will be more interested in speaking with a case-study or spokesperson. That said, if a celebrity has a particular link to a topic (rather than just being a well-known face), they stand a good chance of boosting your coverage. All research from Mortar London unless otherwise stated.